Enjoy a Cold Beer, Southern Hospitality and the Best Burgers in Town! The clubhouse at Oak Harbor is the perfect place to begin and end your day of golf. 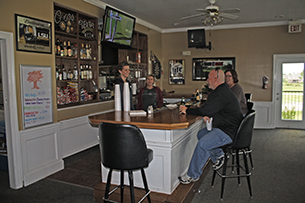 Our full service snack bar serves up coffee, cold beer, wine, mixed drinks and delicious sandwiches through out the day. 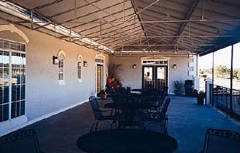 On weekends join us on the beautiful outdoor veranda for the best home cooked burgers in town. Each and every day you can count on good old-fashioned Southern hospitality and service with a smile!.